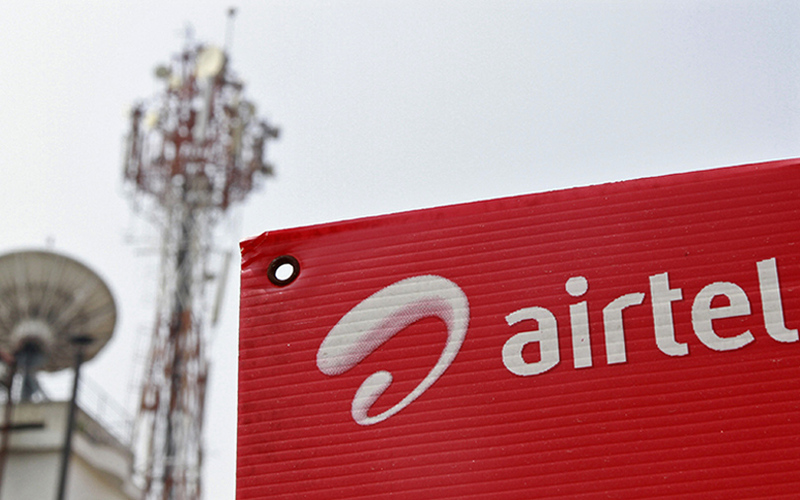 Bharti Airtel Ltd has sold a 4.49% stake in its telecom tower infrastructure arm for Rs 3,325 crore ($510 million) to trim its debt. India’s top mobile-phone operator said in a statement that unit Nettle Infrastructure Investments Ltd sold 83 million shares in Bharti Infratel Ltd on the open market at Rs 400.6 apiece. Shares of Bharti Infratel fell 3.4% on Tuesday to close at Rs 397 apiece. The shares were sold to various global investors, fund managers and long-only funds, including repeat investors, Bharti Airtel said. It didn’t name the buyers. Stock-exchange data showed that Harris Insight Emerging Markets Fund bought shares worth Rs 589.72 crore while UBS Principal Capital Asia Ltd purchased stock worth Rs 680 crore. Bharti Airtel said that its original plan was to sell shares worth $400 million but it increased the size of the offering because of “healthy investor appetite”. Nettle now owns a 3.18% stake in Bharti Infratel, down from 7.67% at the end of September. Overall, the stake of promoters and the promoter group in Bharti Infratel has dropped to 53.51% from 58%. JP Morgan, UBS and Goldman Sachs jointly managed the share sale. Bharti Airtel has previously, too, sold a stake in its tower arm to help reduce its consolidated debt that stood at Rs 91,480 crore at the end of September. In March, private equity firms Kohlberg Kravis & Roberts (KKR) and Canada Pension Plan Investment Board (CPPIB) had together bought a 10.3% stake in Bharti Infratel for Rs 6,193 crore. The deal was struck at Rs 325 per share. The deal came after Bharti Airtel told stock exchanges earlier in March that it had scrapped its plan to sell a controlling stake in Bharti Infratel. The stake purchase by KKR was the second such investment by the global PE firm in the tower company; it was previously invested in Bharti Infratel between 2008 and 2015. KKR had initially invested about $250 million in Bharti Infratel, in December 2007, through a mixture of equity shares and convertible debentures along with the PE arm of Goldman Sachs and Singapore sovereign wealth fund Temasek. The PE firm exited Bharti Infratel in two tranches in 2015. It generated 70% returns in rupee terms and 10% returns in dollar terms over the seven-year period, as per VCCircle estimates. However, KKR fared much better when compared with the other funds. Temasek partially exited Bharti Infratel when the firm went public in 2012 and fully exited last year. It took a haircut on its investment in dollar terms, although it made a modest return in rupee terms. The PE arm of Goldman Sachs partially exited Bharti Infratel three years ago at a 40% loss in dollar terms. Bharti Infratel is the second-largest tower firm in India, with about 90,000 telecom masts, after market leader Indus Towers—a three-way joint venture among Bharti Airtel, Vodafone India and Idea Cellular Ltd.
On Monday, Idea and Vodafone Group Plc’s Indian unit agreed to sell their standalone tower assets to American Tower Corp for Rs 7,850 crore ($1.2 billion). The deal came after Idea and Vodafone India decided in March to merge their mobile-phone businesses. Idea and Vodafone have also indicated they would sell shares in Indus Towers. Vodafone and Bharti hold a 42% stake each in Indus while Idea owns 11.15%. Earlier this month, Bharti said it was looking to buy an additional stake in Indus Towers.